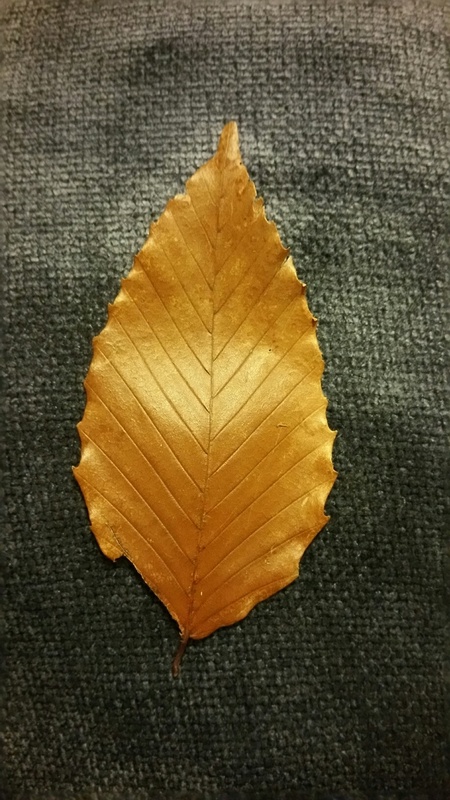 The last hardwood tree in this series is the American Beech (fagus grandifolia), a native of the magnificent hardwood forests of eastern North America. It is not the most common tree in our area but grows in mixed stands, especially with the Sugar Maple and Northern Red Oak (see Trees #3, Sugar Maple and Trees #4, Northern Red Oak). Beech tree in the mature mixed hardwood in the yard of Andrew & Colleen’s cottage. It is also quite easily recognized by its saw-toothed, ovate leaves which turn coppery in the Fall. 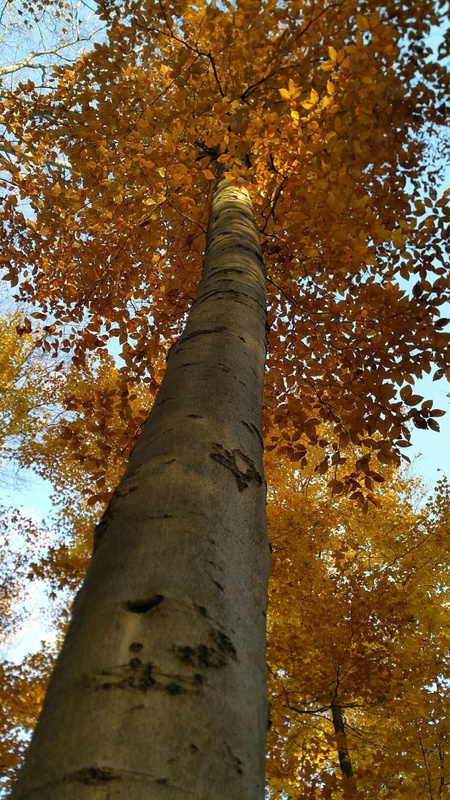 Apart from a few massive Sugar Maples, it is often the largest of the trees in the forest. 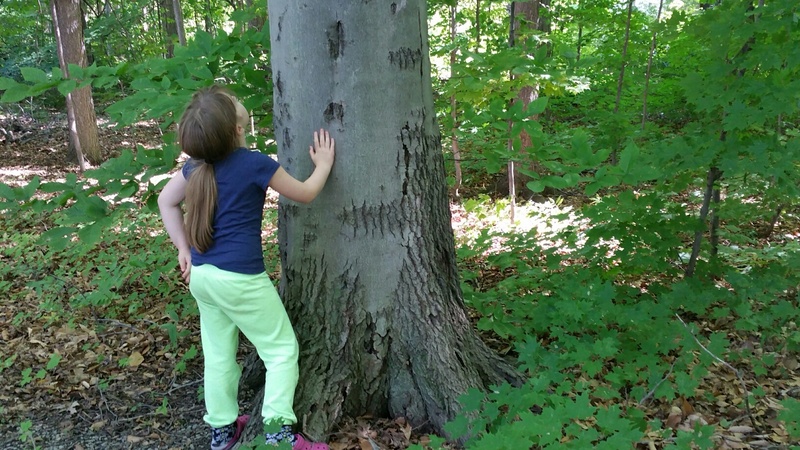 Grand daughter admiring large beech tree. 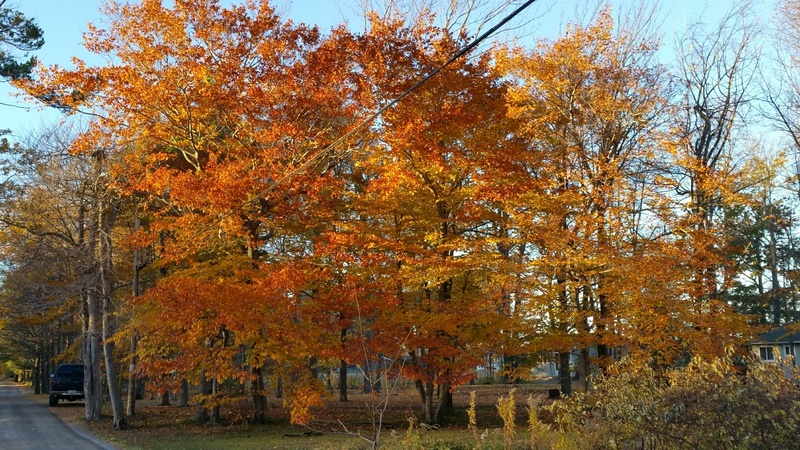 We have appreciated the beech tree in November when it keeps its leaves a little longer than the surrounding maple trees. 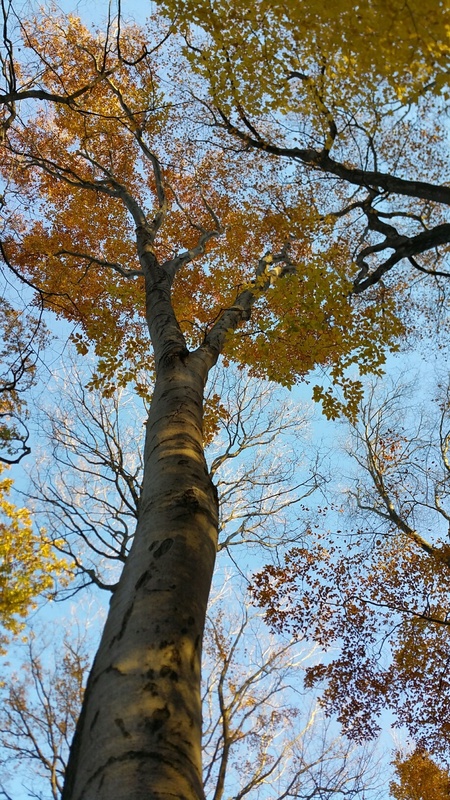 The beech has leaves while the surrounding Sugar Maple are largely bare. Sadly, the American Beech is currently under threat from Beech Bark disease which kills many mature trees. The disease enters the trees when wounds in the bark caused by the Beech beetle become infected with a fungus that has spread to North America from Europe. The resulting canker eventually kills the tree. I think that I have identified some such cankers in the larger trees in the mature forest in the cottage area to the north of our farm but am not sure. Fortunately, younger beech trees seem to be immune from this disease and we do have quite a large number of healthy young trees in the area, both in the mixed hardwood forest and in lovely separate stands. Stand of young beech trees across the lane from our farm.